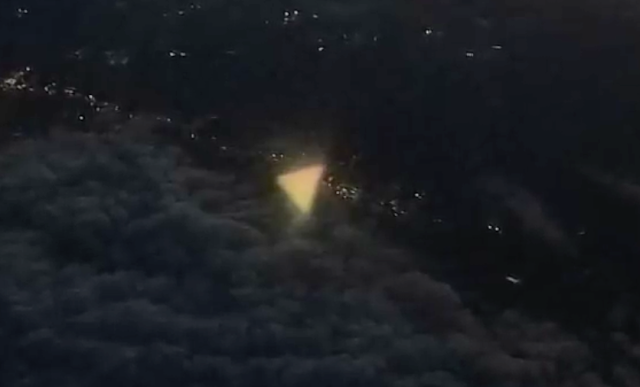 UFO SIGHTINGS DAILY: Glowing Triangular UFO photographed by an airplane passenger over Texas, March 2018, UFO Sighting News. 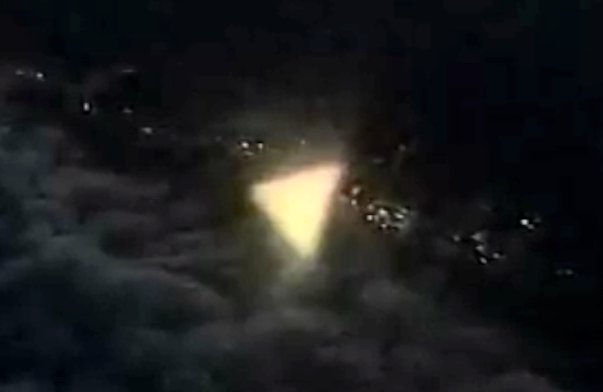 This triangle UFO was seen by a person on a passenger jet over Texas this week. The UFO is glowing, probably due to the angle of the setting sun and the plane. I do not believe that people on the ground could see this craft. Notice the clouds hide 90% of it below. The shape of the triangle and the fact its trying to hide itself is good evidence its real. Excellent video by UFOmania of Youtube. A plane passenger was taking pictures of the rising sun at 6:30 am, at the time he did not notice the UFO, but on his way home he noticed in the photos that strange, flaming-looking triangular UFO.